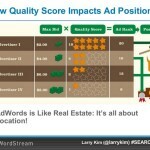 “Quality score” parameter in Google Adwords is parameter based on your CTR and your site and ads quality. 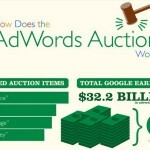 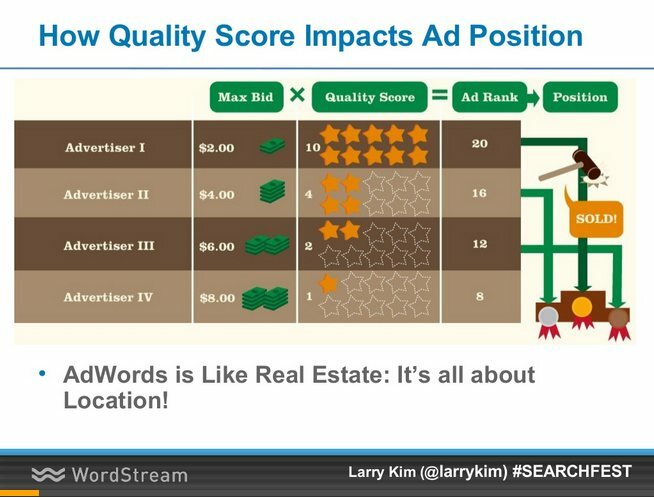 Quality Score Definition in Adwords help. 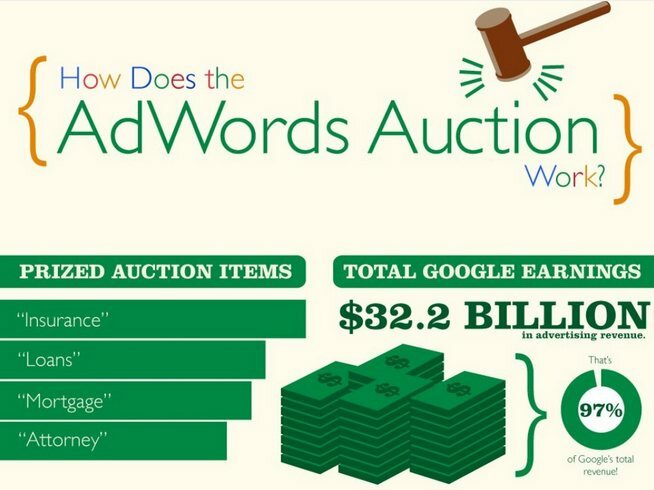 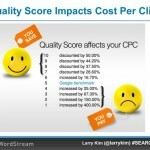 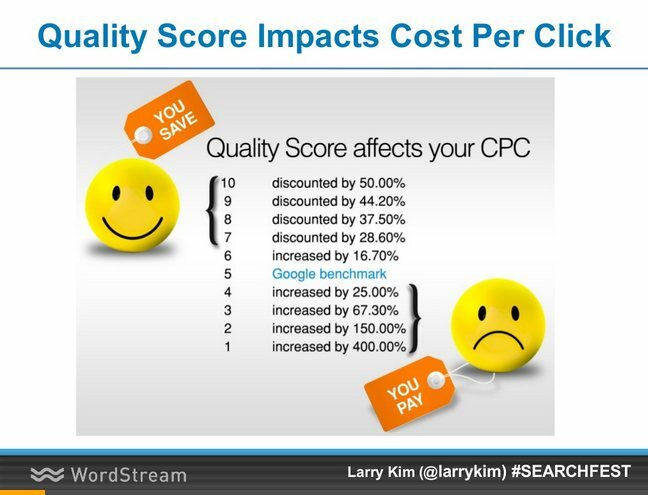 You can see more explanation how “Quality score” impacts cost per click in Adwords in attached pictures and in latest Larry Kim’s presentation (Larry Kim is WordStream founder).